Sprouts are teeny, tiny, brand-new plants. 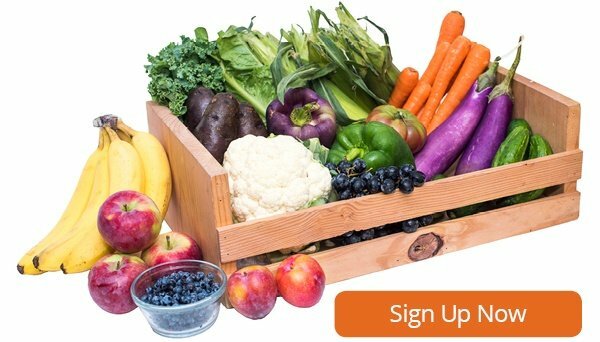 During the process of seed germination, many chemical transformations take place, including the production of nutrients such as Vitamin C and several B Vitamins, important nutrients in our diet. Sprouting grains and legumes (such as lentils and peas) helps break down the sugars that can make these foods challenging to digest. 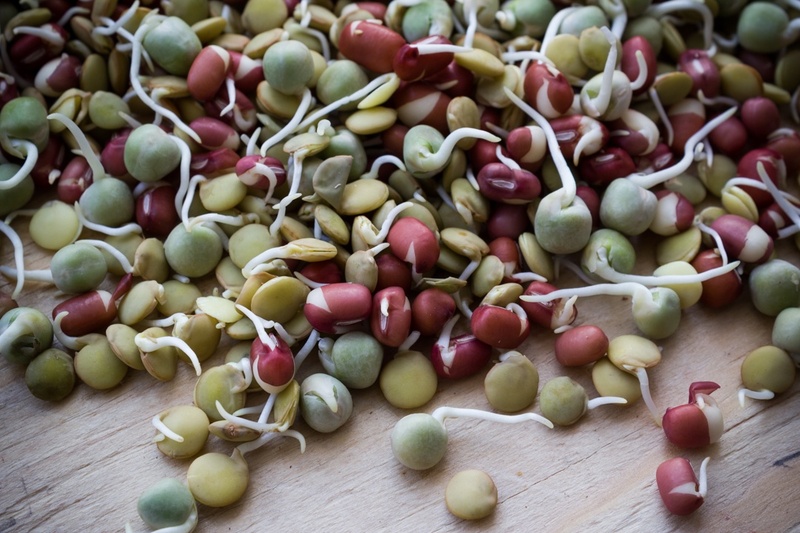 Sprouting can also make nutrients within the beans and grains easier for our bodies to access, so we can reap the full benefits of including them in our diets. Thanks to our friends at Jonathan's Sprouts, Boston Organics deliveries often feature delicious sprout varieties. Read on to learn about different types of organic sprouts you might come across and how to best enjoy them. Jonathan's Sprouts' Munchin Mix is a blend of sprouted adzuki beans, lentils and peas. This crunchy blend is a great source of protein and Vitamins A, B, C and E. These legumes are lightly sprouted, meaning they have just started to grow. Best Uses: Munchin Mix is delicious eaten raw, or it can be incorporated into stir fries or used as a garnish for soups. Mix these beans into your tabbouleh or stir into rice or grains for a nutritious and satisfying base, as in this Healthy Buddha Bowl with Lemon Ginger Dressing. Munchin Mix is also a great substitute for garbanzo beans in delicious Sprout Hummus. Clover sprouts have thin white stems and small yellow-green leaves, called cotyledons. These tiny leaves are the first leaves to emerge on a new plant, and usually don't bear a resemblance to the mature leaves. Perhaps surprisingly, clover and alfalfa, another common sprout, are legumes like lentils, peas and beans. (Although many sprout varieties come from vegetable seeds, as well.) Legumes are important in crop rotation because of the nitrogen-fixing bacteria that dwell on their root notes, helping restore soil fertility. Clover sprouts are full of Vitamin C and Vitamin K, helping add a boost of nutrition to your body like the more mature plants do for the soil. Best Uses: Liven up any dish with a clover sprout garnish. Highlight the fresh flavor of raw veggies and crispy sprouts in these Raw Collard Green Wraps. 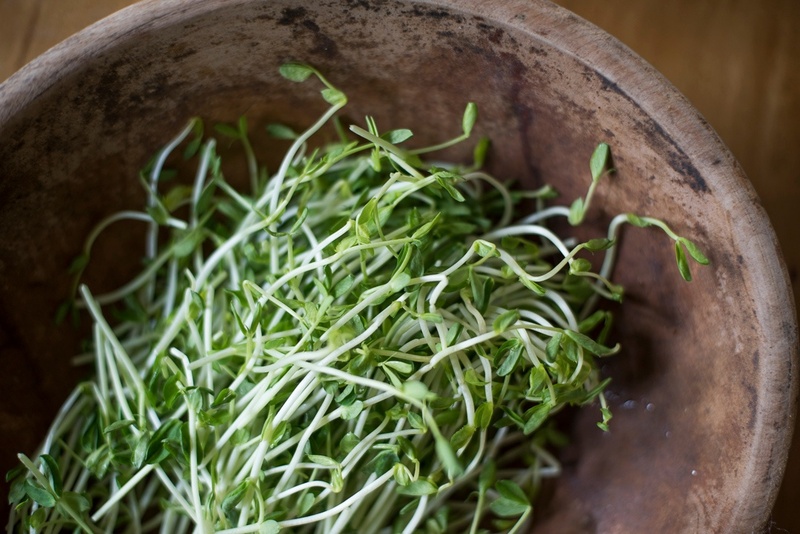 Alfalfa sprouts are one of the most commonly available sprout varieties. Alfalfa and clover sprouts are similar in appearance and nutrition—the main difference is that alfalfa leaves tend to be slightly darker than those of clover. They have similar thin white stems and delicious crunch, with a flavor reminiscent of fresh peas. 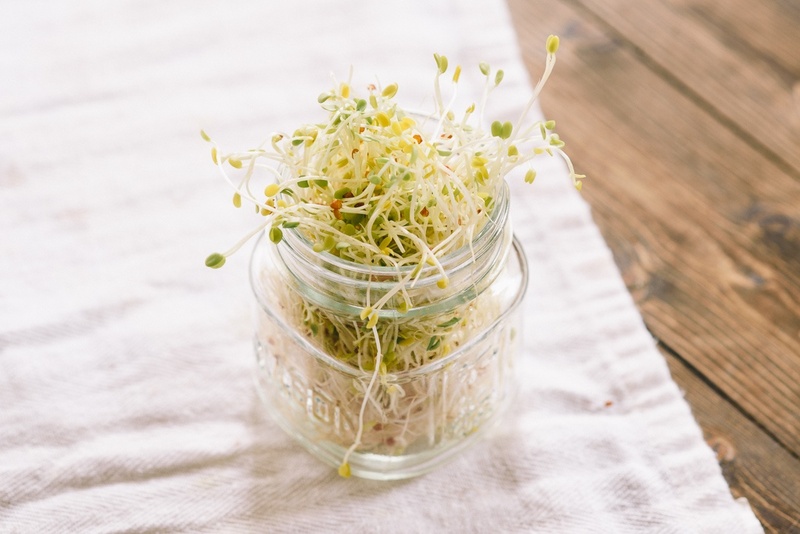 Best Uses: Use alfalfa sprouts anywhere you might use lettuce—they add a satisfying crispness to all your salads, sandwiches and wraps. 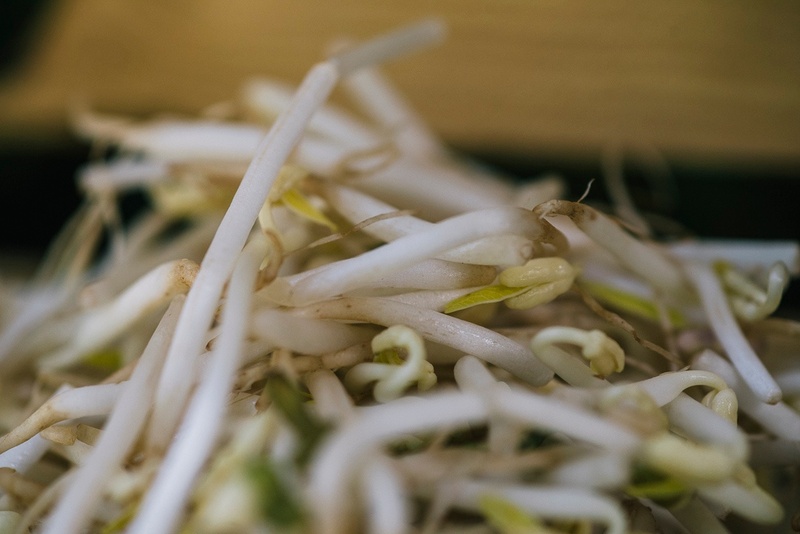 You may recognize Mung bean sprouts from your favorite Chinese food dish or Pho restaurant. They have a mild flavor and delightful, watery crunch. Mung bean sprouts' simple appearance—white stems and pale yellow leaves—masks their impressive nutritional value; they are rich in Vitamin K, Vitamin C, iron and potassium. Best Uses: Eat Mung bean sprouts gently sauteed and added to stir fries, fried rice or pile them into your soups. If you're looking for flavorful inspiration, try this recipe for Spiced Stir Fried Bean Sprouts. Pea shoots are a slightly more mature plant. When eating an alfalfa or clover sprout, for example, you eat everything, seed to stem. Pea shoots are very young pea plants, and are harvested by cutting off the top part. Pea shoots have developed past the cotyledon stage and have started to develop their adult foliage. These delicious shoots have the sweet flavor of a fresh pea. Best Uses: We love eating pea shoots straight from the package. (Well, after a nice rinse—always wash sprouts before eating.) If you can resist the temptation to gobble them up, try this simple recipe for Garlicky Pea Shoot Tangle. The flavorful stir-fried shoots are a tasty complement to meat and fish. Combining seeds and water is at the heart of growing sprouts. Seeds are initially soaked in water, then drained. The seeds, and eventually, new sprouts, are rinsed in water several times a day to keep them moist, while preventing them from spoiling in standing water. After a few days, succulent, sprouts are ready to eat! At Boston Organics, we source most of our organic sprouts and shoots from Jonathan's Sprouts in Rochester, MA. Over the last thirty years, they have perfected their growing techniques and are able to nurture each type of seed with ideal conditions. 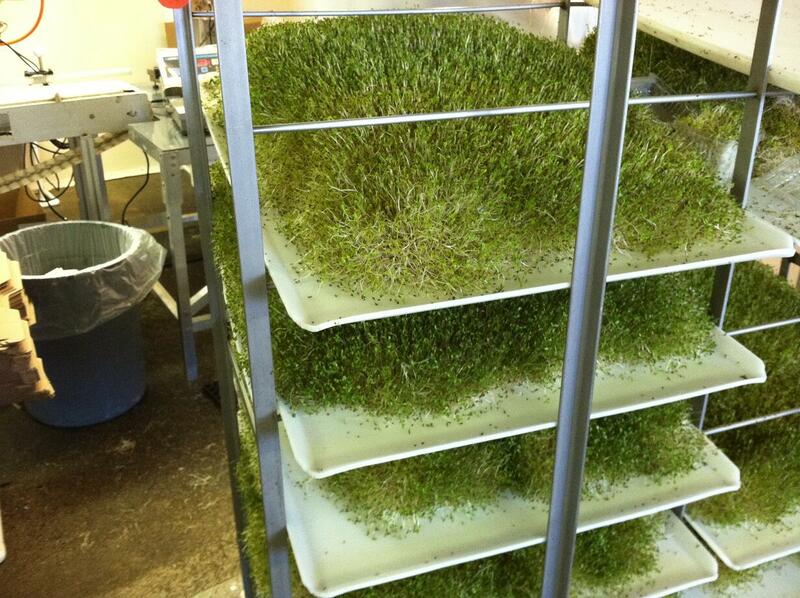 They sprout in large trays like those pictured above. Graze away, and enjoy the fresh flavors of sprouts!